Our goal is to provide the ultimate ice cream experience by offering a wide array of flavors and using the very best ingredients. 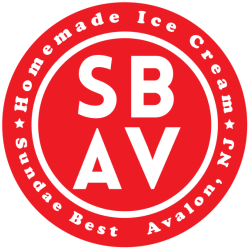 All of our ice cream is homemade on site; Avalon Mud, Espresso Crunch, and Cinnamon Crumb are just a few of our signature flavors. We also come up with new flavors all summer long! We have options for everyone. Our ice cream base is gluten free and we now offer gluten free cones. We have soy vanilla and homemade water ices (dairy free), and homemade sugar-free ice cream as well. We even offer a "doggie dip" for our 4-legged fans, a small scoop of soy vanilla ice cream topped with a dog biscuit! 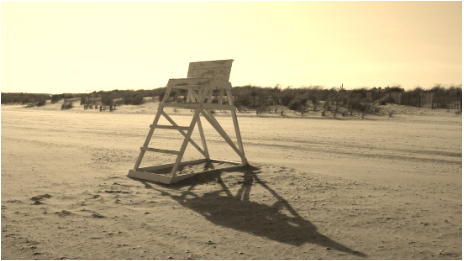 A portion of the profits from the "doggie dip" are donated to the Cape May County Animal Shelter. Whenever you're on the island this summer, make sure to stop by our shop and enjoy one of the delicious options available on our menu. 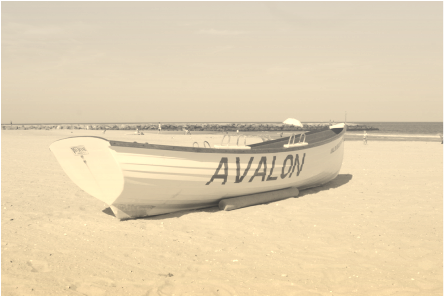 A summer vacation in Avalon isn't complete without a trip to Sundae Best. Simply put, Sundae Best is the BEST!